Dr. Gary Kaplan of the Kaplan Clinic in McLean VA, gave a powerful appeal for a wider approach to care, especially for patients for whom pain is a significant issue. He used diagrams from a book he was working on, since released with the title "Total Recovery" (avalable in several forms, including a Kindle version from Amazon). His clinic's website has a 7-part video that covers the topic (www.kaplanclinic.com/videos/videos/revolutionary-integrative-approach-management-chronic-pain/) in somewhatt more detail. When the body is injured or sick, the immune system tries to repair itself. In trying to repair something, the body can (and often does) damage other bodily structures. We call this “inflammation”. Inflammation can get out of control. In some cases, the inflammation can beome a bigger problem than the initial damage. We take meds, such as aspirin, to keep the inflammation under control and minimize “the collateral damage”. Other means of control include things like rest, sleep, heat, cold, surgery and physical therapy. When a signal is sent from the body to the brain or spinal cord, the brain reacts, often leading to changes in the body, such as muscle action. Touching something hot causes the body to flinch. We say, “my finger hurts” but it’s really our brain giving meaning to a stream of pain messages from the finger. When the brain handles a pain message, it uses resources and those resources must be replaced or repaired. The brain has repair mechanisms. Though specialized, they are analogous to the immune system in the rest of the body. Here is the tricky part – our body routinely replaces/repairs its cells. Normal brain processes can easily handle “hot stove” pain signals. Each brain action uses resources and those resources are repaired and replaced. But chronic pain or chronic/severe illness can cause brain damage that is increasingly costly to repair. There are “ripples” as the brain’s other facilities (emotional, logical, autonomic, etc.) are engaged by the person attempting to deal with the onslaught. If there is pre-existing brain damage due to other problems, the brain’s immune system is more likely to resort to radical approaches that cause further “collateral damage.” Chronic body issues (like PN related pain) or chronic psychological conditions (like depression or PTSD) set the brain up for failure when exposed to a new challenge. Brain on Fire: Portions of an injured brain can become “inflamed” by its immune system in much the same way as other parts of the body. The symptoms of this inflammation and its control mechanisms are much less well understood. But once these inflammatory processes are in place they can affect the body – think about how someone reacts to a migraine headache. Treat the body only? Once the brain is inflamed, removing the bodily problem and its associated flow of messages will lessen the workload on the brain but not necessarily deal with the ongoing battle in the brain. Messages will continue being sent to the body from the damaged portion of the brain. Other pre-existing problems in the brain will continue. Treating only the body problem may work, but our country’s experience with PTSD has taught us to be respectful of the need for psychological support. Treat the Brain only? Sometimes only psychological symptoms are seen. There is no apparent bodily problem. Refer to Figure 2 again. If the brain is trying to handle signals from an undiagnosed body problem (such as celiac or Lyme), treatments that focus only on the brain are likely to fail. Dr. Kaplan showed us the statistics from the table below. Treatments such as sleep therapy, meditation, drugs, psychotherapy, and counseling can fail, even when combined with diet and exercise changes. Like the Dutch boy’s experience at the dike, pressure from an untreated body problem will constantly “spring a leak” around the best brain therapies. The implication: there can be a significant payoff to a complete medical history and diagnostic investigations when the patient shows only behavior issues and those issues relapse or do not yield to normal therapies.The body problems need to be discovered and dealt with to successfully handle brain issues. Medicine can operate in “silos”. Cardiac, Gastro, Ortho, Psychiatry, etc. etc. The policies that govern US insurance, doctor training and medical practice reward “specialists” far more than diagnosticians. Primary Care Physicians, the ones you would assume specialize in diagnostics, are the most poorly paid “specialists”. The interactions between the Central Nervous System (CNS or Brain and Spinal Column) and the Peripheral Nervous Systems (plural) scattered all over the body, such as limbs, gut, heart and sense organs. To me, “What’s Really Wrong?” sounds like the right question. Section 3 of 3: The right question is required, but not necessarily sufficient. 1. Could there be an undiagnosed condition that would benefit from a focus on diagnostics? If someone has PN symptoms but are otherwise healthy (other than the normal craziness that we all have), then the diagnosis problem may be simple. Once the “usual suspects” are checked there may be little justification for further investigation. Of course, the list of “usual suspects” expands over time (pre-diabetes has been added), so you need to stay alert. And research may turn up treatments that could apply. 2. 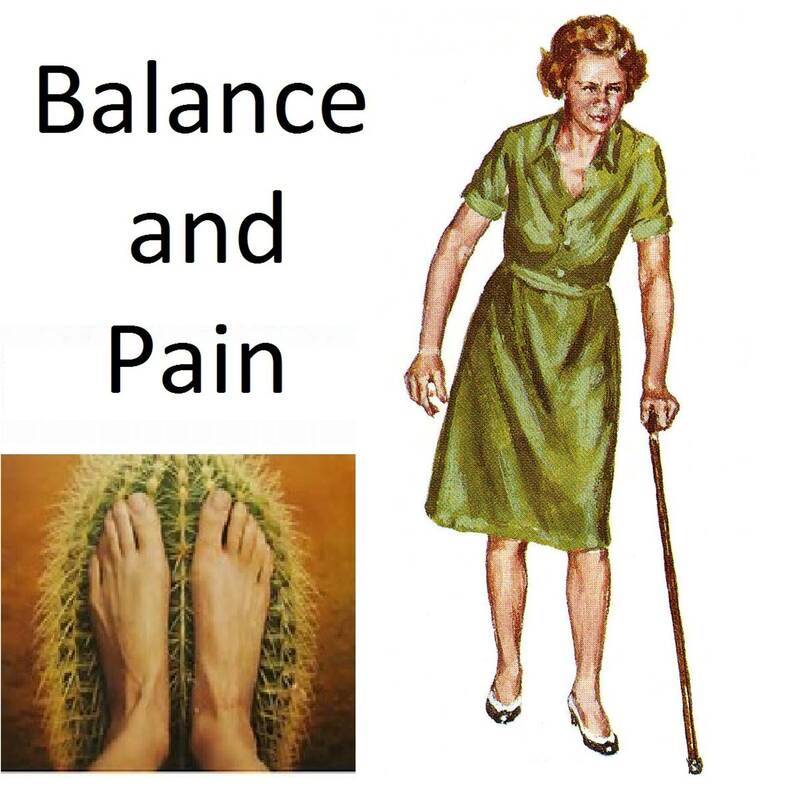 Is chronic pain a major issue? For most of our members, pain is an issue, but not a major one. When a major issue, Dr. Kaplan suggests that there is an unresolved issue that may yield when the brain’s involvement is explicitly addressed. 3. Are there alternative diagnostic services and how good are they? Within a given insurance plan (such as Medicare) your options may be limited. I spoke to a local financial advisor and he recommended contacting one of several “concierge” practices to see if they have services that could replace or supplement the services of your primary care doctor. The concept of “second opinion” need not apply only to specialists. 4. Given a diagnosis, how will your care be coordinated and resources be delivered to you? Insurance in-network services like Aetna and Kaiser make claims about their communication systems and the central role of their primary care doctors. I my experience, those claims cannot be verified. The reimbursement systems and record keeping requirements all work against a focus on diagnosis and coordination, since it is difficult to express those activities as a “service code” and outcome measures are primitive or non-existent. On the other hand, such systems can effectively marshal needed resources. Independent PCPs can have difficulty with both communication and access to services. That is especially a problem with Medicare (with its low payment rates) and certain specialties (such as psychiatry and counseling). People with enough money can ignore this – the rest of us cannot. An organization like Kaplan or (perhaps, other “concierge” groups) are available only to those who have enough money to work outside the normal insurance world. On the other hand, if normal care seems inadequate, a few piggy banks may be a wise sacrifice. 5. What resources will be used for treatment? In the case of the Kaplan Clinic, there is a tendency to specify use of in-house resources, when available. A few of those resources (such as labs, medicine and physical therapy) can be partially covered by insurance plans, but many cannot. In a typical insurance network there is a set of in-network resources and outside resources is limited or not reimbursed. 6. Can you trust what you hear? A story is in order: about 15 years ago, a close (and very bright) friend in her twenties spent two years as a “research assistant” to a “diet doctor”. This doctor was all over the talk shows pitching her theories and, most importantly, her books. The doctor spun a very convincing story and the scientific allusions sounded authentic. The “doctor” was a complete fraud. Heaven help anyone who bought and followed the books. Our friend’s diligent research was the only source of information and our friend drafted most of the books’ text. The doctor’s recommendations often contradicted rational practice.I tried to persuade our friend to view Dr. Kaplan’s presentation, but she declined. She had been initially taken in by that diet doctor and felt her ability to sort out facts from spin to be limited, given that she no longer works in that field. I found Dr. Kaplan’s presentation compelling. I had never heard of “brain inflammation” and knew nothing about the brain’s immune and repair facilities. My description in Section 1 was almost completely new to me. I have considered seeking Dr. Kaplan’s services. A financial adviser suggested a concierge service instead, but most concierge practices pitch themselves for their “availability” rather than their diagnostic capability. Our “research assistant” friend has mentioned an outside independent doctor that she has heard good things about. Dr. Kaplan was trained as an osteopath. In the U.S. an osteopath is a normal medical doctor with additional training in surgery and the "hands-on" practices of osteopathy (that are somewhat similar to chiropractic techniques). Dr Kaplan also has credentials in integrative medicine. His presentation emphasized the importance of diagnostics, taking a wide view, not specific treatments. He discussed “alternative medicine” techniques (such as acupuncture) right along with conventional treatments, such as drugs and surgery. He further emphasized getting the fundamentals in order: diet, exercise, sleep and meditation (calm). As a diagnostician, his medical sub-specialties did not seem dominant in his presentation, other than leaving him open to all forms of treatment. On a personal level, I “felt” I could trust him. I doubt I will seek his services, but mainly because I doubt his diagnostic skills are relevant to my case. I need a medical breakthrough to stop my leg’s nerves from dying. He makes no claim to have such a tool. On the other hand, continued nerve death suggests there is "something" going on in my body. Maybe there are other diagnostic tools that have not been tried. But my doctors have spent a lot of effort looking.